SPEARFISH, S.D. – The Black Hills State University football team outscored Dixie State University, 24-13, in the second half, but ultimately fell, 41-38, in the Swarm Days game on Saturday afternoon. After BHSU (0-5, 0-5 RMAC) won the toss and deferred, Dixie State (4-1, 4-1 RMAC) took their initial drive 75 yards in 14 plays and 6:42 to take a 7-0 lead. After exchanging a pair of three-and-outs, the Yellow Jackets got the ball with five minutes to play in the first quarter. In his first career start, quarterback Tyler Hammons marched the Green and Gold down the field. The redshirt freshman found Isaac Jefferson in the end zone to tie up the game, 7-7. The Trailblazers scored in their first two second quarter drives to take a 21-7 advantage. 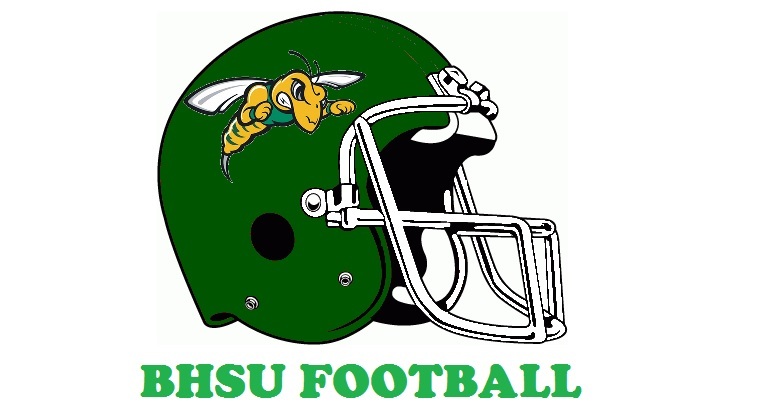 With seven minutes remaining in the half, the Yellow Jackets were again forced to punt, but DSU returner, Xavier Smith, fumbled the catch, and BHSU jumped on the ball around midfield. The Green and Gold took advantage of the turnover, scoring when Hammons connected with Eriq Swiftwater for a 17-yard touchdown. However, Dixie State would score again with just 24 seconds remaining in the half, taking a 28-14 lead into the break. After the Yellow Jackets' first drive in the third quarter stalled, Dixie State scored again, and led by 21 points. On the ensuing BHSU drive, Jack Walbye scored his second touchdown of the year, running it in from 11 yards out. The Green and Gold defense stepped up, forcing a Trailblazer three-and-out. On the punt, Isaiah Tivis was able to get to the ball, blocking the punt, and giving BHSU the ball back in the red zone. Walbye rushed it in again for a score, as the Yellow Jackets drew within 35-28, with two minutes to play in the third. With 11 minutes to play, BHSU got the ball, down a score. After Walbye rushed 12 yards for a first down, Hammons threw a strike down the field, as Swiftwater pulled in a 31-yard touchdown to tie the game. After a second blocked punt, this time by Cole Miller, gave the ball back to the Yellow Jackets with less than five minutes to play, Trey Fleming knocked through a 28-yard field goal, giving the Green and Gold their first lead of the game with 2:16 left. However, the Trailblazers used their next drive to go 58 yards into the end zone, retaking the lead, 41-38. The Yellow Jackets got the ball back with 36 seconds remaining, and were able to gain 35 yards, but were stymied, falling, 41-38. Tyler Hammons threw for 256 yards and three touchdowns. Swiftwater caught two scores and had 65 yards receiving, while Walbye had 45 yards rushing and two touchdowns. Defensively, Austin Goddard had 12 tackles, while Josh Gurnaby had 15. For the Trailblazers, Trent Darms threw for 177 yards, while rushing for 103 yards and a touchdown. Michael Sanders threw for 81 yards and a score. Conner Miller had two rushing touchdowns, while Sei-J Lauago and Lawrence Starks also ran in a score. Miller also caught a touchdown. The Green and Gold will next hit the road for a night rivalry game, taking on South Dakota School of Mines and Technology. The 133rd playing of the Battle for the Homestake Trophy will be at 6 p.m. on October 6 in Rapid City, S.D.